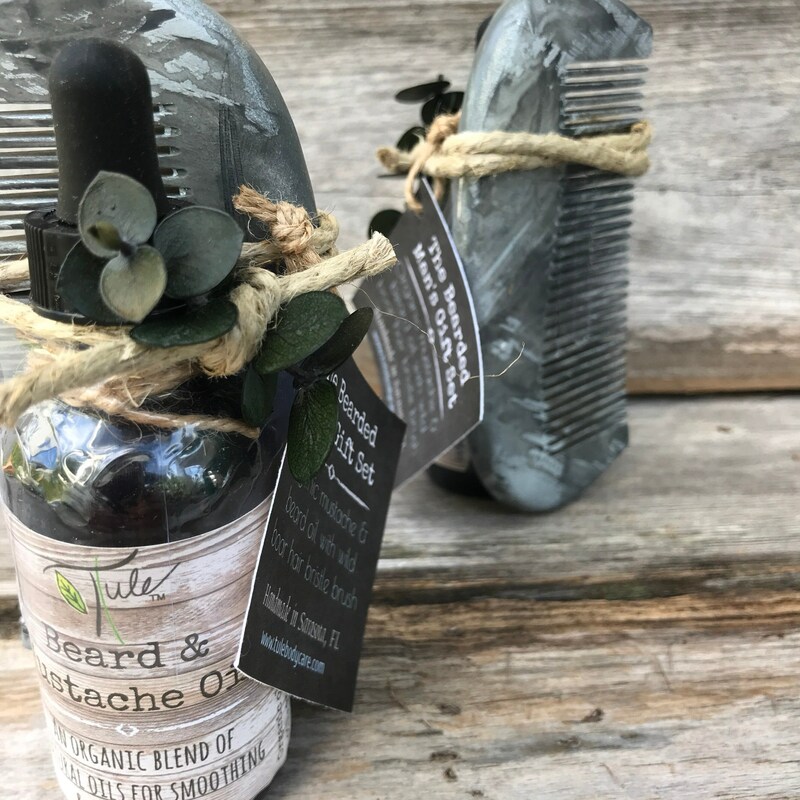 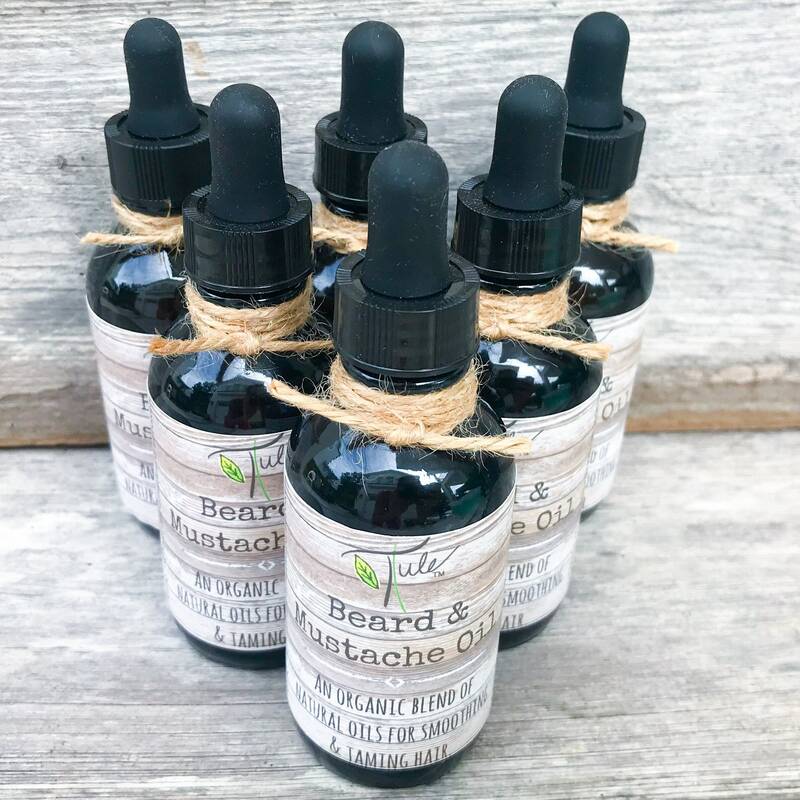 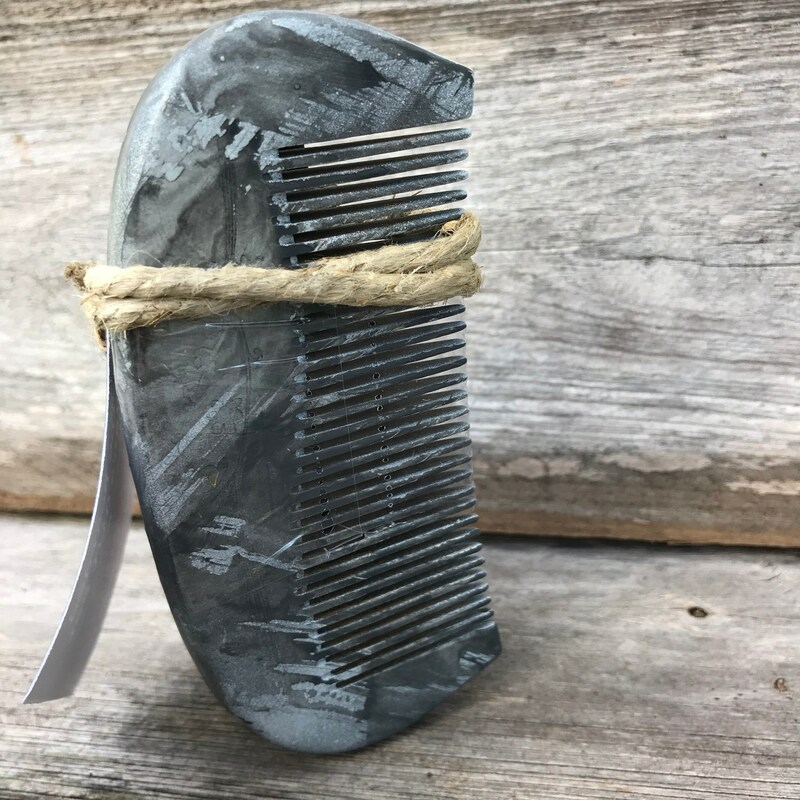 Beards & artful mustaches are the new craze in the men's world these days, and Tule™ can help style & maintain a healthy looking facial mane organically and naturally! 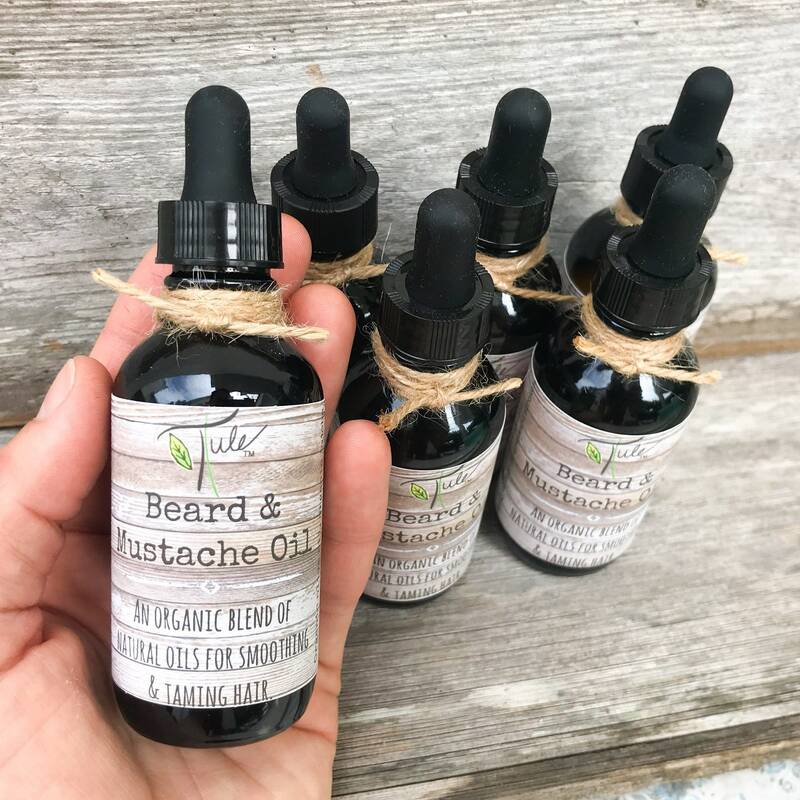 This specific blend of organic & natural oils will keep a beard & mustache healthy, shiny, styled, tamed, & full of life. 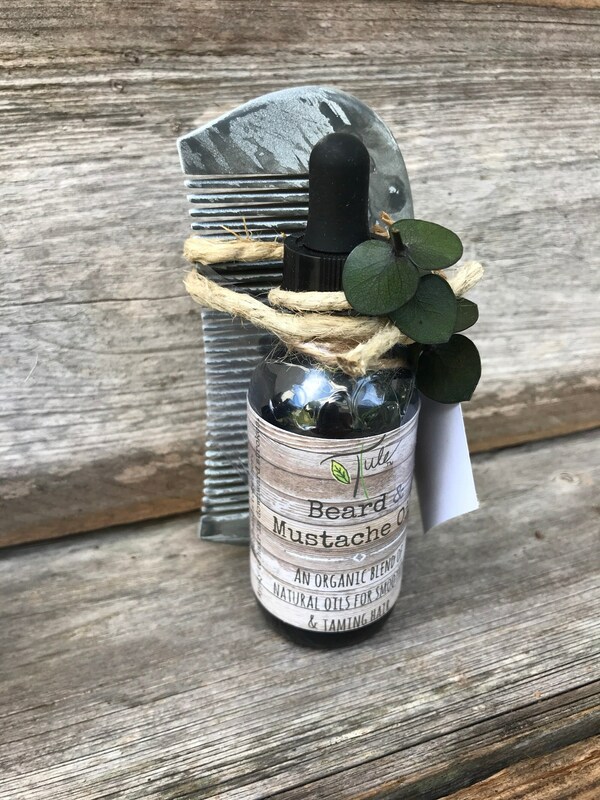 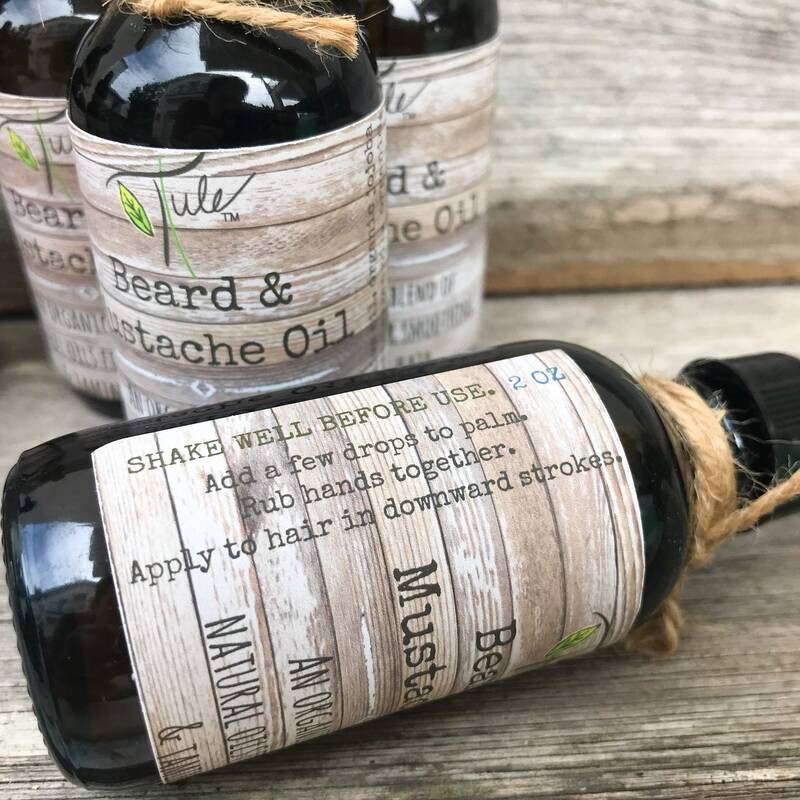 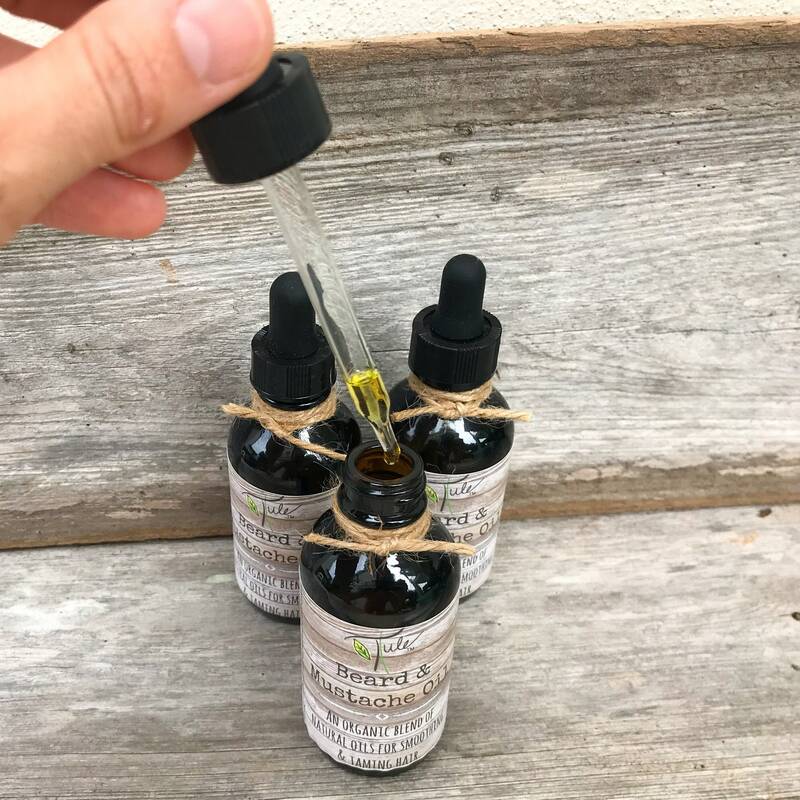 The addition of specifically chosen essential oils for conditioning & balancing facial hair growth, will also add a fresh-herbal scent to your manly whiskers. 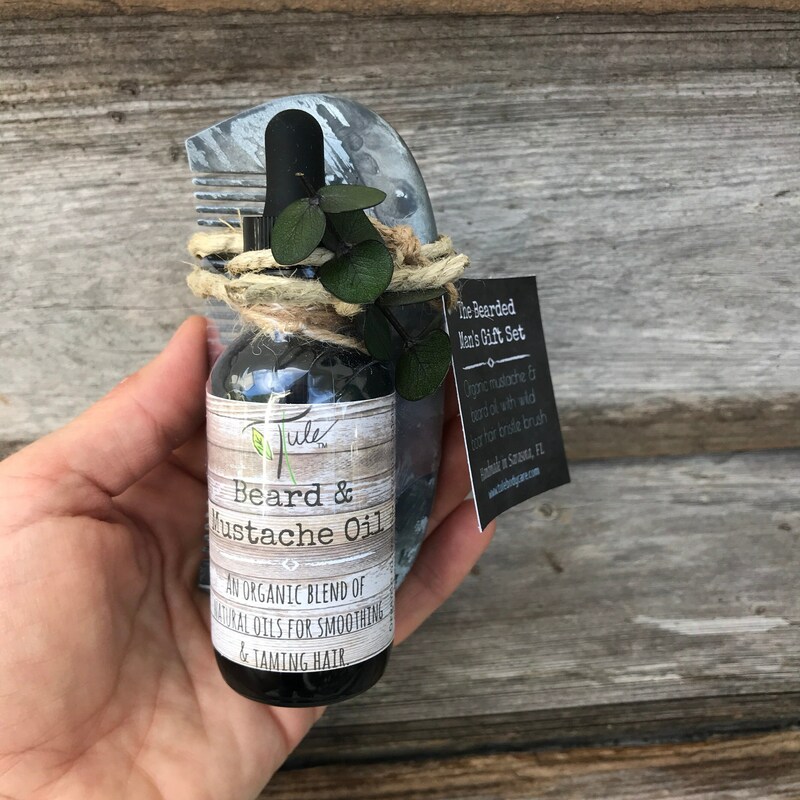 DIRECTIONS FOR USE: Each day after washing facial hair, shake bottle before opening, add a few drops to palm, rub hands together, & apply in downward strokes. 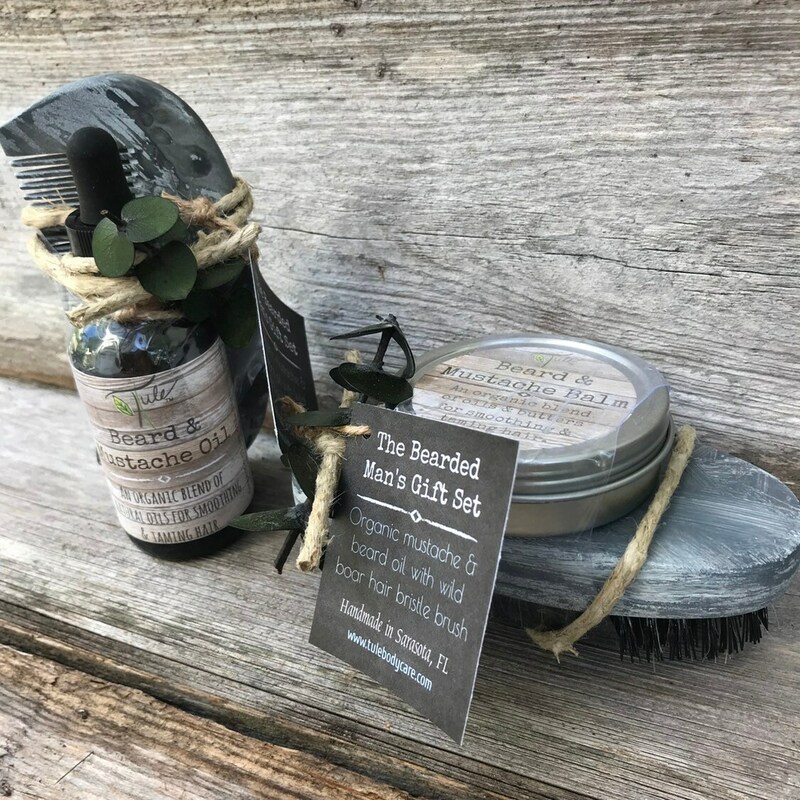 Oil can be re-applied throughout the day whenever desired. 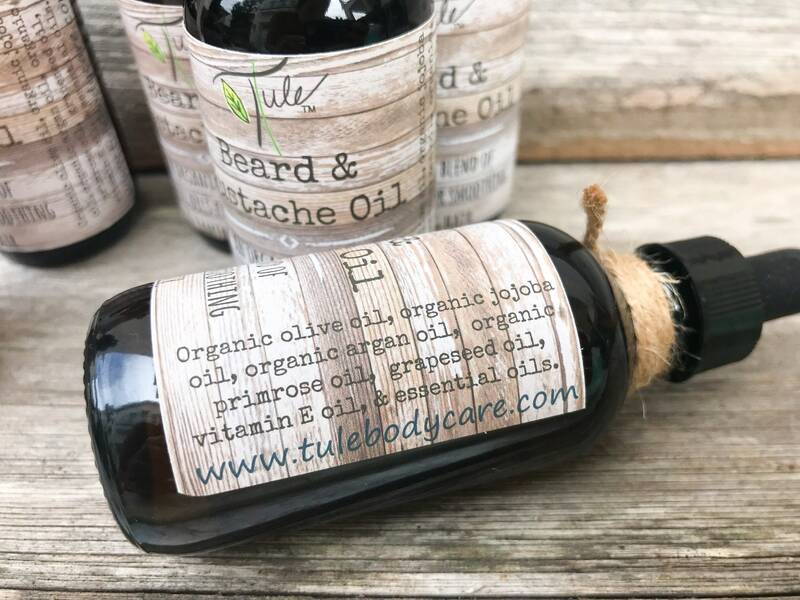 *Ingredients: Organic olive oil, organic jojoba oil, organic Argan oil, organic grape seed oil, vitamin E oil, & nourishing facial hair essential oil blend.